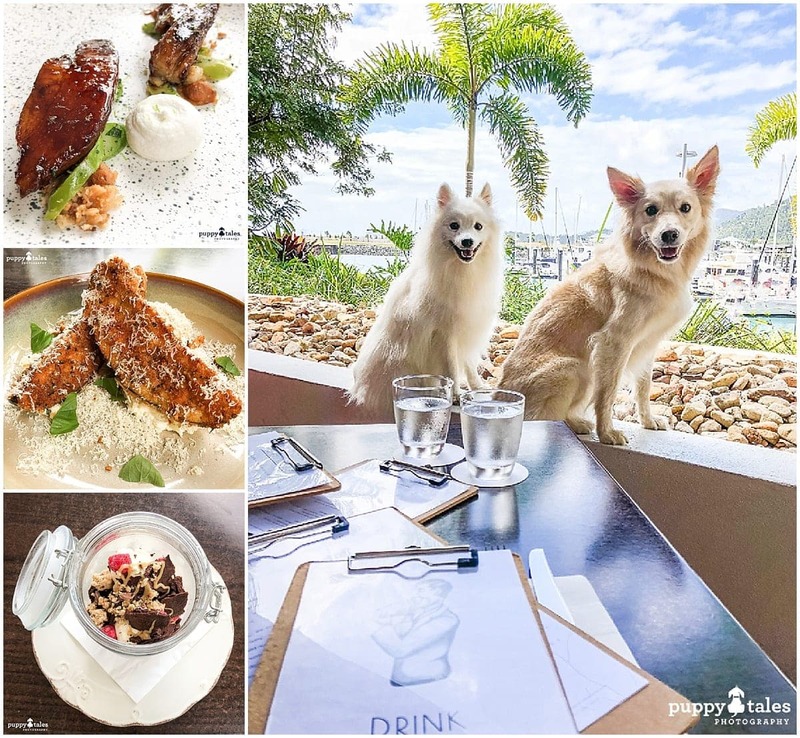 Airlie Beach may well be the gateway to the Whitsundays, but it also has some excellent Dog Friendly Cafes. 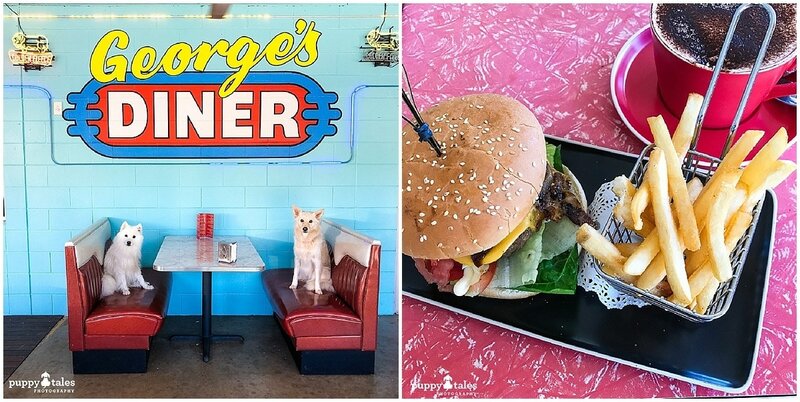 And the best part is the variety of choices to go for a meal with your four legged friend. You can return to the diner styles of the 50’s or dine at a hatted restaurant!. Your dining experiences here are a reflection of the laid back nature of Airlie Beach. The climate in the Whitsundays is perfect for year round outdoors dining and there is no shortage of cafes offering it. Our time in Airlie Beach saw us dine at the following places and recommend you check them out if you are ever there. A short 5 minute stroll from the main street of Airlie Beach and overlooking the magnificent marina at Port of Airlie is Walter’s Lounge. The theme here is all about having a shared dining experience, enjoying one or two of their fantastic cocktails and having a great meal out! Your dog will also be welcomed by the friendly staff…after all, Walter was a magnificent German Shepherd and the namesake of the restaurant. 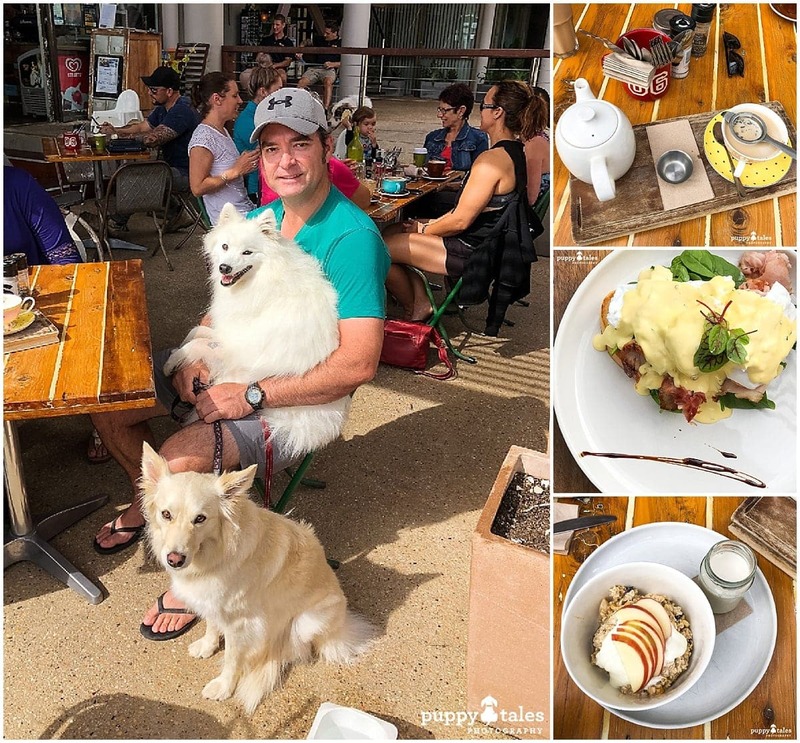 Just a 5 minute drive out of Airlie Beach, Fat Frog Beach Cafe overlooks the dog friendly Cannonvale Beach. It is a popular place for breakfast any day of the week with locals and tourists alike. There is a great selection of meals for breakfast and lunch as well as smoothies and hot drinks, plus a section of the menu JUST FOR YOUR DOG!! A 50’s style diner that has the menu you would expect when visiting here. Burgers, shakes, great coffee, sundaes and spiders – not the 8 legged type!!! George and his staff have taken a slice of the 50’s and dropped it at Conway Beach! The best thing is your dog’s are more than welcome to join you on the balcony…you may even get the booth! 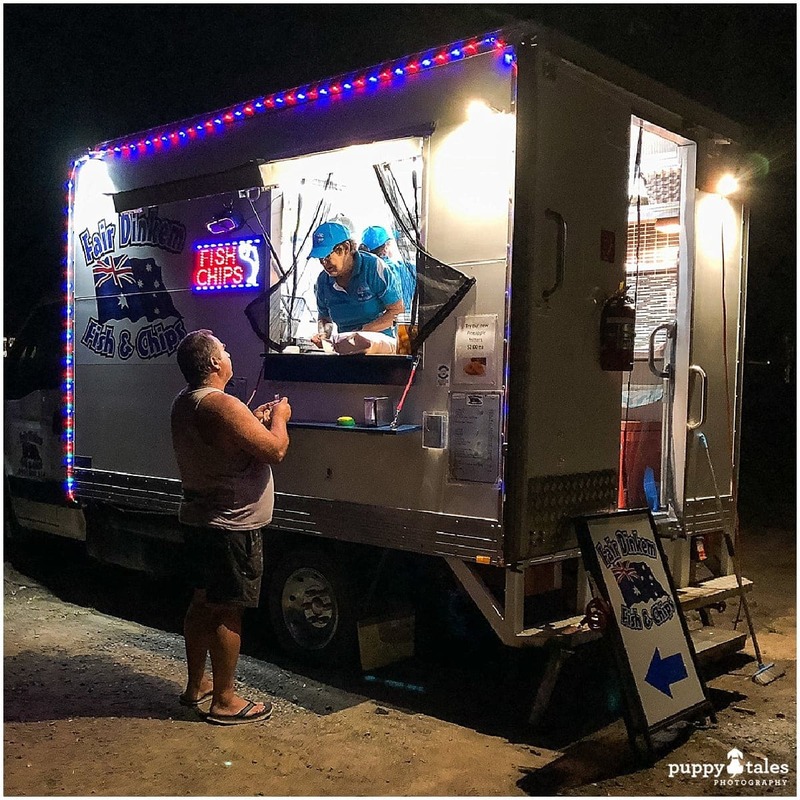 Fair Dinkem Fish and Chips is a food truck that moves around the Airlie Beach region each time its open. Only closed on Monday and Thursday, open from 4pm it has the best fish and chips that we have tasted in a long time. And just because they are in food truck, it doesn’t mean that they leave some of the regular foods out. Fish, chips, sim sims, potato scallops, dagwood dogs and pineapple fritters are sold here, plus drinks! Check out their facebook site for their location.